Working as a Dance Choreographer since last 16 years. 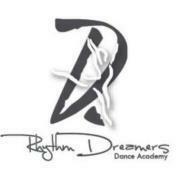 Running my dance institute named, Rhythm Dreamers Dance Academy, Specialised in Dance forms. Rhythm Dreamers Dance Academy conducts classes in Choreography, Dance and Summer Camp. It is located in Virar West, Mumbai. It takes Regular Classes- at the Institute.